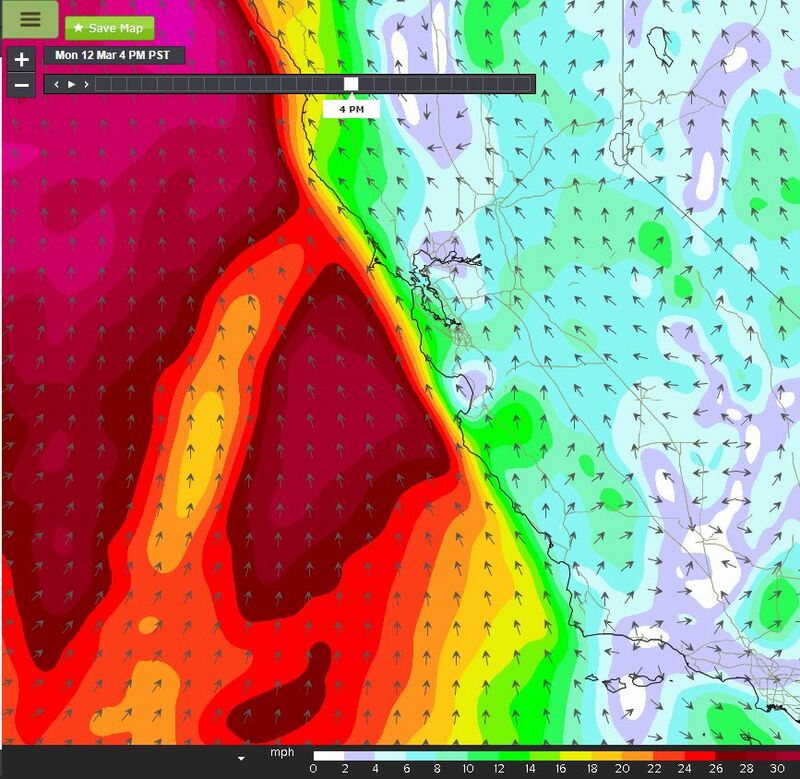 Home › Cape Cod › Southerly storm winds dominate the week. Southerly storm winds dominate the week. 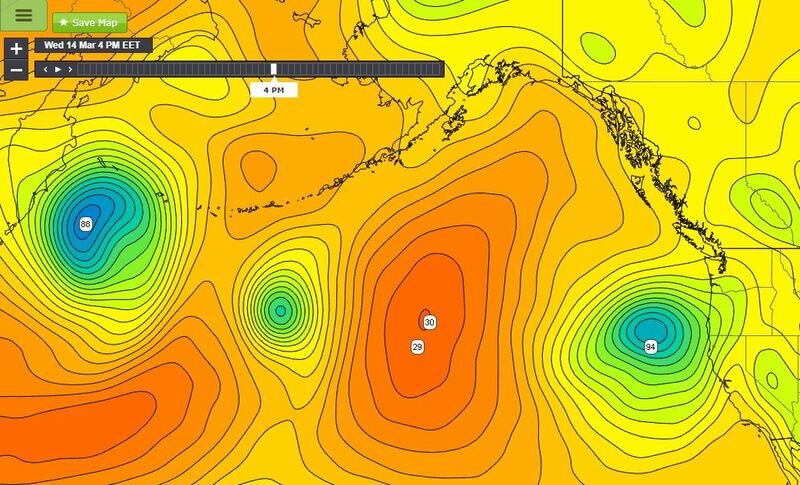 January and February saw a strong ridge of High pressure sitting over the West coast. 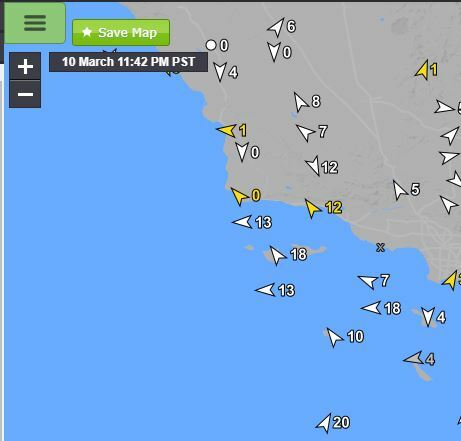 Consequently the West saw an early start to steady Northwesterly winds along the coast. Well as quickly as it started, patterns have changed and instead of looking to the north for our winds we will spend most of the week looking to the south. The week is ending with a small Low pressure center moving toward Southern California. 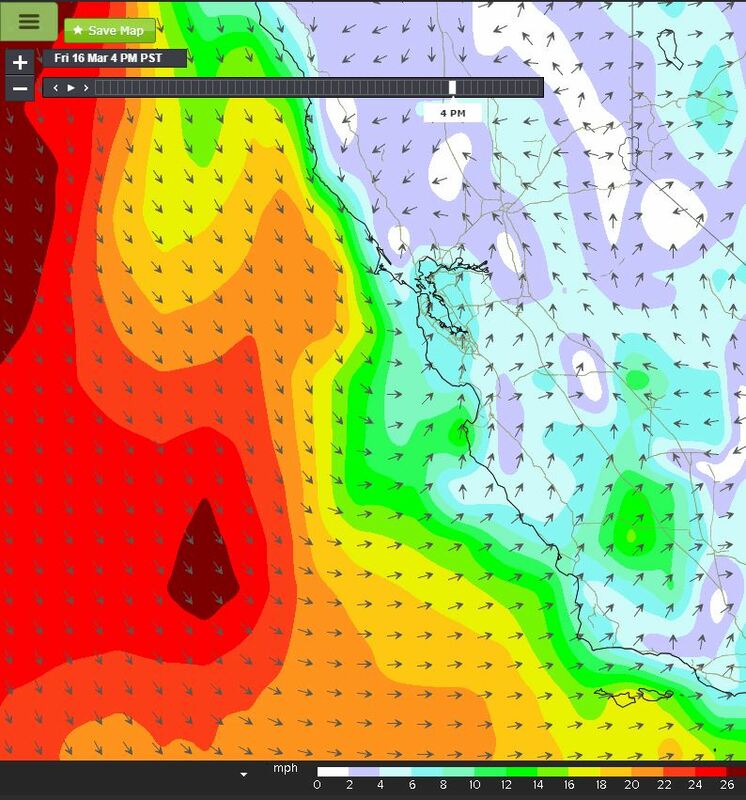 As the graphics below show the winds have turned S/SE around this Low. 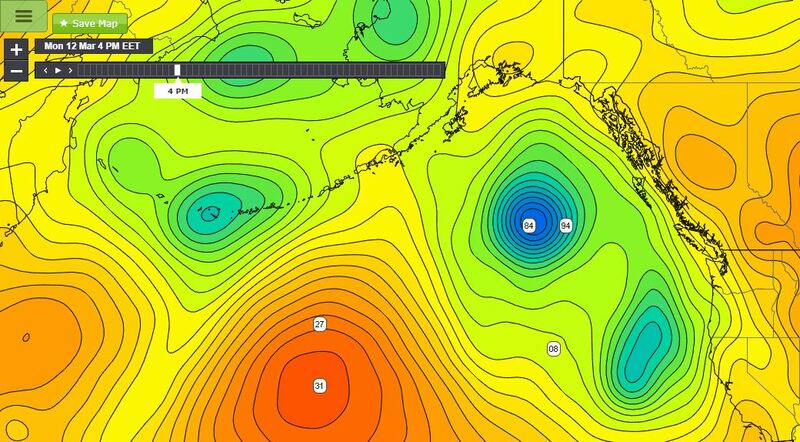 This Low fills but as you can see (below) the forecast models show the ridge of High pressure forced well west of the coast as another series of Low pressure systems move in from the West, aimed toward Northern California. An upper level Low will take up residence west of California bringing strong southerly winds ahead of it. However, with the main Low staying so far west the storms lose strength as they move inland and so the strongest winds stay mostly offshore for the first half of the week. 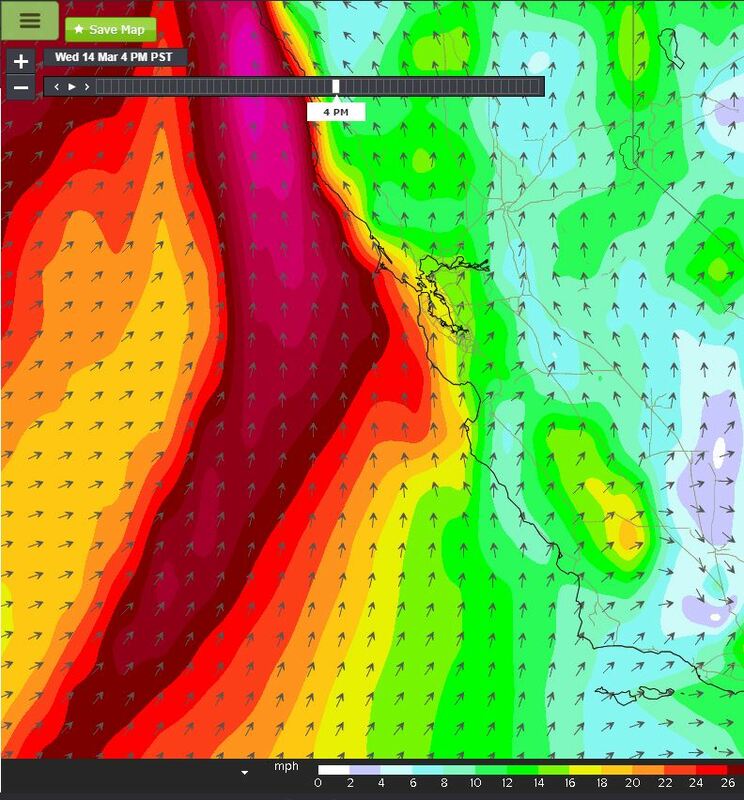 By about late Wednesday the Low gets kicked inland which pushes the southerly storm winds inland. 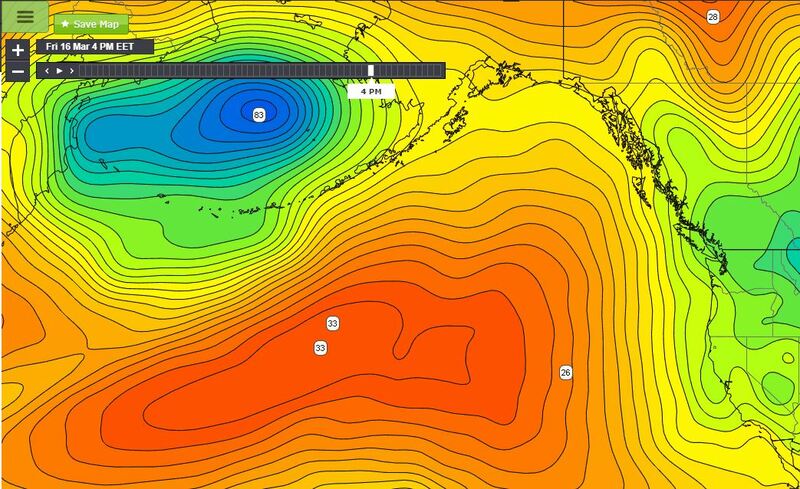 The forecast models are indicating that the High Pressure over the Pacific expands towards the coast and if all goes as models indicate the pattern makes a change and we should return to some NorthWesterly winds by late in the week.